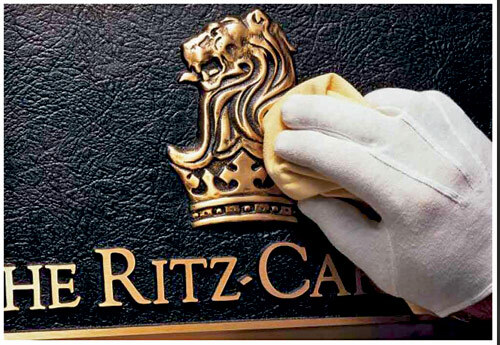 The Ritz-Carlton hotel chain is legendary for its stellar service. 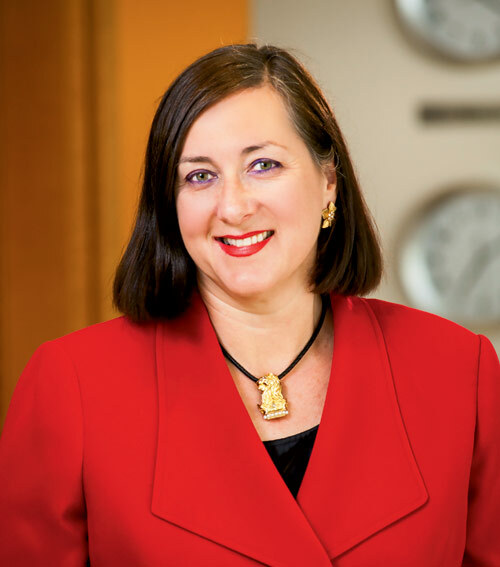 Here, Ritz-Carlton Leadership Center VP Diana Oreck shares a simple plan for putting those fabled service principles to work in your store. In the competitive world of luxury lodging, Ritz-Carlton has distinguished itself by setting the gold standard for service. The chain has become so renowned for exceptional service that seminars by the Ritz-Carlton Leadership Center, founded in 2000, draw attendees from a wide variety of industries, all eager to duplicate the five-star hotel chain’s award-winning business practices when it comes to customer service, employee engagement and leadership. It’s a formula that can translate into increased profitability and customer loyalty for retailers as effectively as it does for hotels, assures Diana Oreck, the center’s vice president. “Whether you’re in the shoe industry or in hotels or a field like aviation, the same principles apply. We’re all consumers. We all know that when we’re receiving gorgeous service, it’s like poetry in motion. When we don’t, it’s something right out of Stephen King—a nightmare,” says Oreck, who traverses the globe teaching businesses how to provide dream service and avoid horror stories. “But you can’t just say, ‘Okay, team, give legendary service,’” she explains. “You have to give them a roadmap.” That’s where the Leadership Center comes in, providing step-by-step directions on how to foster an excellent service culture that will boost sales and keep consumers coming back. To bring the daily lineups to life, Ritz-Carlton uses what Oreck terms storytelling—using real-life anecdotes and examples of great service that a particular team member has recently provided. Specifically, every Monday and Friday, the daily line-up includes a description of a recent random act of kindness by a staff member. For example, when a reservationist learned that a woman was booking a weekend at a Ritz-Carlton to celebrate having completed chemotherapy for breast cancer, she arranged for every person working in the hotel to wear a pink breast cancer awareness ribbon when the woman arrived and had a framed congratulations card, signed by every member of the staff, waiting in her room. These “wow stories,” as Oreck calls them, serve two purposes. They reward staff members who’ve gone the extra mile by recognizing them publicly, and they resonate with listeners because they appeal on an emotional level. “Storytelling is emotional transportation,” she says. “Stories stick with people.” They also help to spark creative ideas in those who hear them, which makes the listeners more inclined to create their own unique, memorable and personal experiences—or “UMPs” as Oreck calls them—for customers. Granted, location and product matter, “but the most powerful brands are not about a product or a logo,” according to Oreck. “The key is the emotion they evoke in their customers. It’s all about making emotional connections. Step four: Build the infrastructures to support a service excellence culture. “You need to have systems behind the smiles,” says Oreck. “You have fantastic shoes, but does every customer get a warm greeting and a fond farewell in your store? Are your employees saying things like, ‘huh, wazzup or no worries’? Are you making sure the phone is always answered in three rings? Is your website slow, cumbersome or difficult to use?” If any of these are true, your system is not supporting your desire to be excellent in service, Oreck warns. If you’re not sure, audit your systems. For example, find out how many customers have looked at your website but decided not to buy. Figure out why—then fix the problem. Here’s a look at the brand’s building blocks. “We are Ladies and Gentlemen serving Ladies and Gentlemen.” This motto exemplifies the anticipatory service provided by all staff members. At The Ritz-Carlton, our Ladies and Gentlemen are the most important resource in our service commitment to our guests. By applying the principles of trust, honesty, respect, integrity and commitment, we nurture and maximize talent to the benefit of each individual and the company. The Ritz-Carlton fosters a work environment where diversity is valued, quality of life is enhanced, individual aspirations are fulfilled and The Ritz-Carlton mystique is strengthened. I spend about 90 percent of my time traveling and I’m on my feet teaching a lot, so I need a shoe that’s practical but also elegant. My go-to style is a flat slip-on with tassels. I love to write and I love pens. My very favorite brand is Levenger. In terms of clothes, I fly more than 200,000 miles a year, which means I’m in the air so much that I don’t have a chance to get to stores very often, so I buy online. My favorite clothing site is Chicos.com. I read all the time. Right now I’m reading The House We Grew Up In by Lisa Jewell. It’s set in England. I find it interesting because I spent 8th through 12th grade at a boarding school in England. Before that I was born and raised in Mexico City. After England, I went to hotel school in Switzerland, where they taught all our courses in French. I like drama, but only in the theater.